Idiot Abroad 2 is beginning to come good. How has the programme fared since Bergerac left? Dudgeon is even better than Bergerac, if you can imagine such a thing. Also his wife is quite would-able. German Exchange student: "I heard animal noises last night"
"That'll be the foxes or the young couple next door"
Getting the fck rid of Joyce & ****** Cully was always going to be win. Agree about the wife, haven't made my mind up about the dog. Didn't like it at first, but when you watch it, makes you laugh. This thread's been dormant for a while, so though I'd revive it rather than start another. A couple of things I've watched on the Channel 4 player recently that I'd heartily recommend. French crime drama that is at times brutal, sometimes very funny, and quite moving. Really enjoyed this much more than most of the Scandi stuff. Well done, you cheese eating surrender monkeys. Quirky comedy fantasy drama set in Prague, which looks absolutely gorgeous throughout. Revolves around the struggle of a man to come to terms with being a member of the 'water nation', a population of people who can breath water and are at odds with their own history, the church and the police. Most original thing I've seen in a while. The plus for me was that both series are relatively short, so I didn't have to commit to months of viewing. Tightens up the writing as well. Last edited by Stellavista; 13-07-2016 at 02:20 PM. Everyone's seen catastrophe by now, yes? Spotless on Netflix. Very enjoyable. Made for French TV - the two main characters are French - but in English as it is set in London. Decent crime dramedy. Preacher on Amazon / AMC. Fargo - both seasons. Fantastic television. Two seasons are largely unrelated too so can be watched independently of each other. Up there with the likes of True Detective, The Sopranos, Breaking Bad etc. BBC2 - Exodus - Our Journey To Europe - The Guardian says `devastating and breathtaking` and they are right. 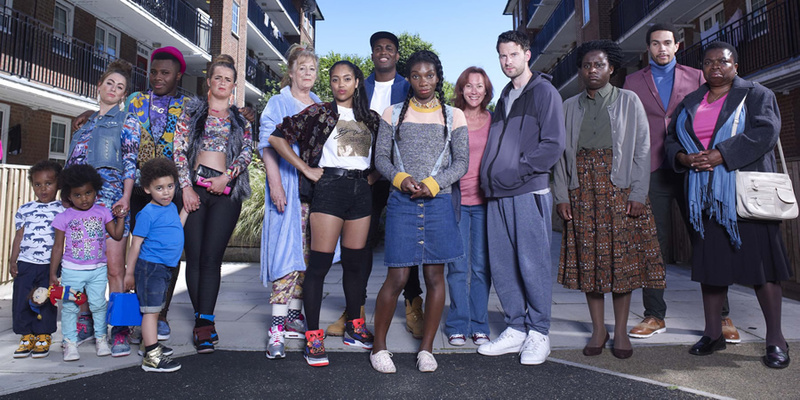 Anyone watch 'Chewing Gum'? Great cast and superb writing. Very funny. Trapped the Icelandic drama was excellent, but has probably already been mentioned.